I also love honest conversations. When a guest comes with an open heart and is willing to lay it all out on the table and bear their soul, that’s where the greatest exchange is made. 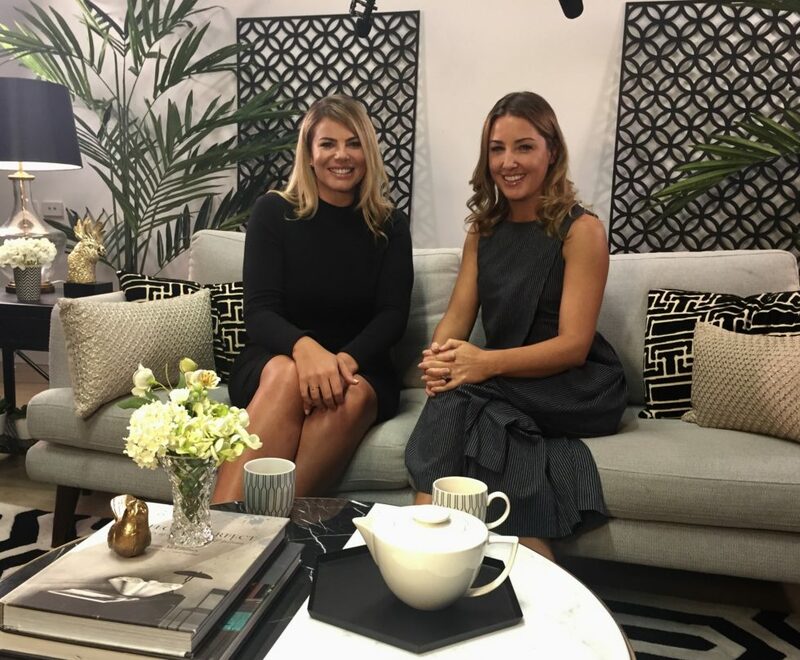 This is what Fiona Falkiner did when she joined me on the couch in this episode of Tea with Jules. With the eyes of the country watching her struggle with weight, Fiona has learnt the power of self love and acceptance over a decade in the spotlight. Her story is real, raw and she speaks to the every person. Body confidence is an issue many people are faced with, so I was grateful for Fiona’s practical approach to health. She had to start with loving all of herself, not just the exterior. This started her on the path to health and happiness. Change your mindset – Anyone can lose weight, but if there’s negativity towards yourself, you’re going to fall off the wagon. So in order to be truly healthy and happy, you have to change your mindset. You have to learn to love who you are, respect your body and practice self-acceptance. Once you realise that you’re worthy, getting out there moving and nourishing your body and making it strong and healthy, that’s when you can make lasting change. Make small changes – For me, sugar is bad. Cut out sugar where you can – try not to have sugar in your tea or coffee or sugary drinks, they’re not doing your body any good. Make that commitment – Get started and make that commitment. Take an hour out of your day to invest in yourself. Many people, especially parents, say they feel guilty taking that time away from their kids. I don’t have kids, but I believe taking that time is a gift to the people around you, because you will become a better version of you! You will feel so much better if you take an hour out of your day to focus on you, whether it be training, yoga, meditation or walking. If you do that every day even just for a week, you will feel healthier, happier and be a better parent. Stay active to feel good – Being active has so many benefits. For me, to fight the anxiety and depression I have suffered, staying active releases endorphins, which makes me feel good. I can’t thank Fiona enough for sharing her story with me. I was moved and inspired. You can listen to the full story on Tea with Jules below.